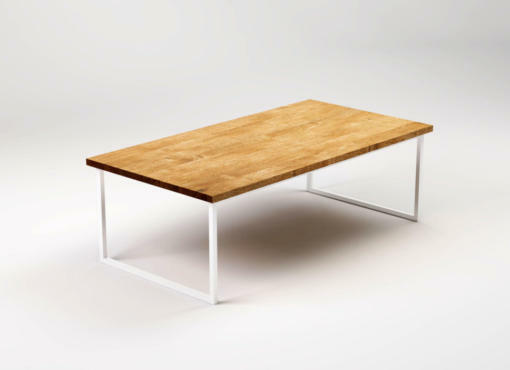 Tabletop – 2,5 cm thick, specially selected, structured solid oak wood. It has various shades, dark knots and bright lines running along and across the tabletop. Each product is made to order and therefore, depending on the batch of wood, it also has its own unique features, colour and wood grain. Rectangular coffee table BASIC TIO has a simple, elegant form and is a very stylish living room furniture. 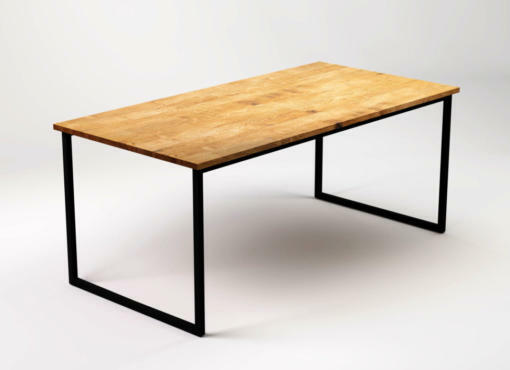 Solid oak top with dimensions 125 x 65 cm is based on strong steel frame, powder coated in black. Modern, simple geometry and great functionality harmonise with the beauty of natural materials. High quality raw materials provide durability, while the design bring a feeling of tranquillity and a slightly industrial touch. 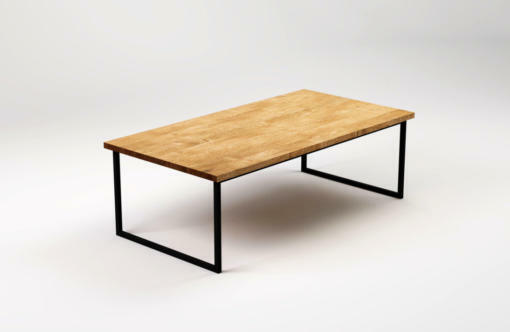 Solid oak wood tabletop and black steel base make a beautiful colour combination that is both elegant and timeless. 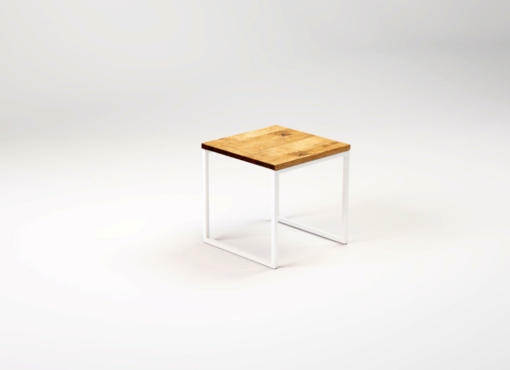 BASIC TIO coffee tables are handmade with care by our skilled craftsman. 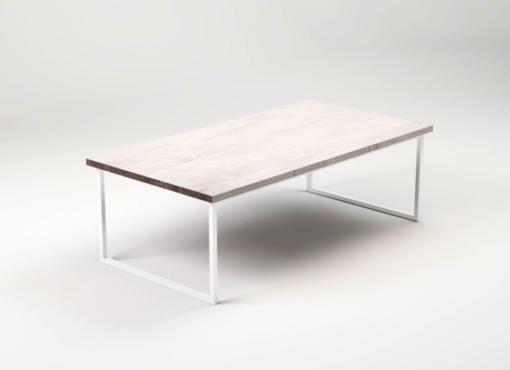 Just like the other coffee tables from our BASIC collection, they have a simple, pure form in minimalist style. Functional and beautiful, modern industrial coffee table is a perfect choice for every modern home.